How to Build a Messenger App Similar to WhatsApp or Telegram? Ever since there has been a humongous growth in the number of Smartphone and other electronic gadgets, we have rightly perceived a massive revolution in the mobile application industry. The incredible increase in the number of various social messaging apps such as WhatsApp, Viber, WeChat, Telegram etc. have been the outcome of continuous amplification of the worldwide users. 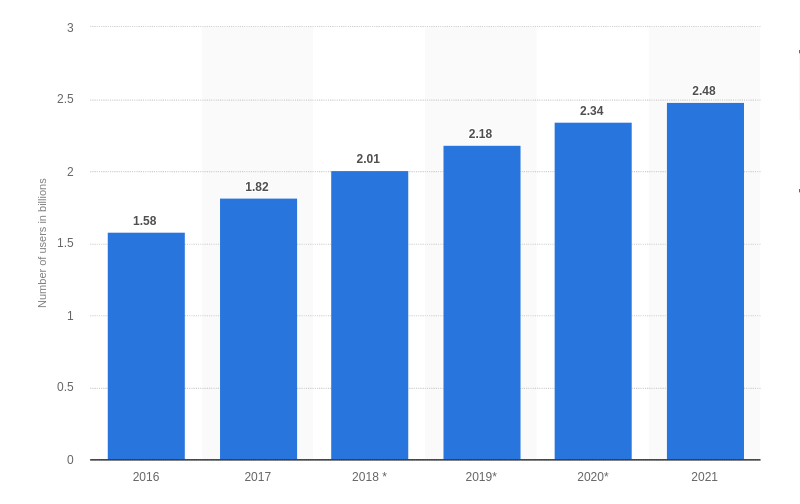 According to Statista, the number of global smartphone social messaging app users have exceeded from 1.58 billion in 2016 to currently 2.01 billion in 2018 and is expected to shoot up to 2.48 billion by 2021. 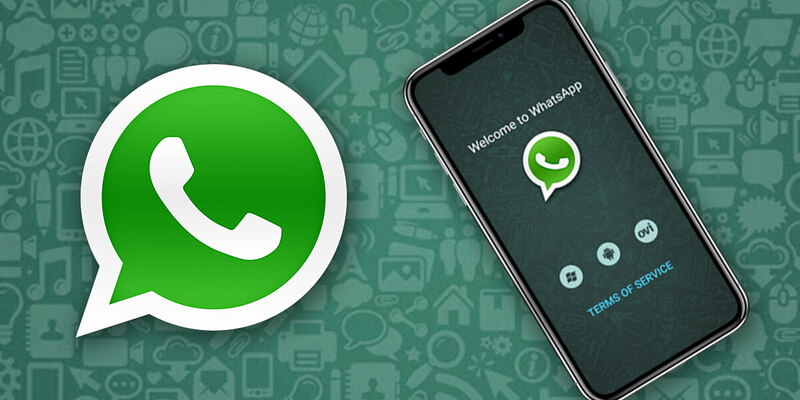 Now, if we consider the list of most popular and extensively used messaging apps by world audience, then undeniably, WhatsApp is leading the competition by a fair margin. 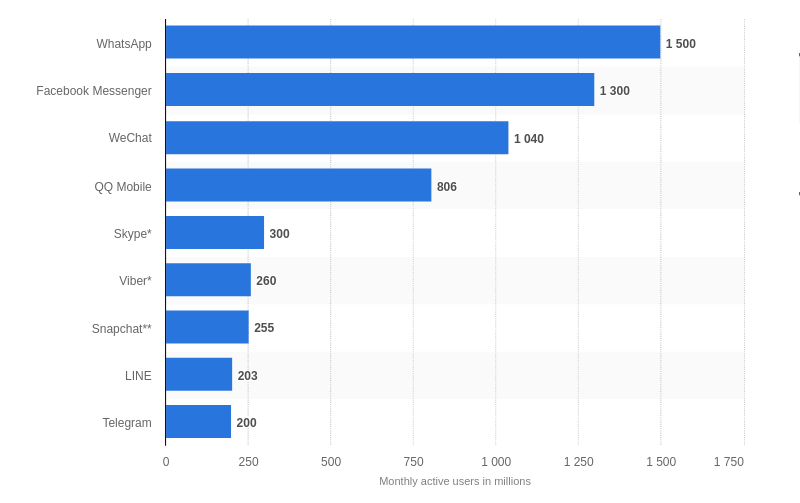 According to the latest July 2018 figures, there are about 1500 million active WhatsApp users, followed by Facebook Messenger with 1300 million and WeChat stands third having 1040 million users. The newly introduced social messaging app Telegram has started to create the buzz with 200 million users actively using it. Looking at the statistics and figures we can indeed say with the assertion that these social messaging apps have become the trendsetters of the business industry and market today. This is because they play a comprehensive and vital role in online business promotion. In the recent times, the social messaging apps like WhatsApp and Telegram have become one of the most powerful platforms not only for single or group conversation or video chatting but also an established forum for buying and selling a wide spectrum of products and services. O.K. 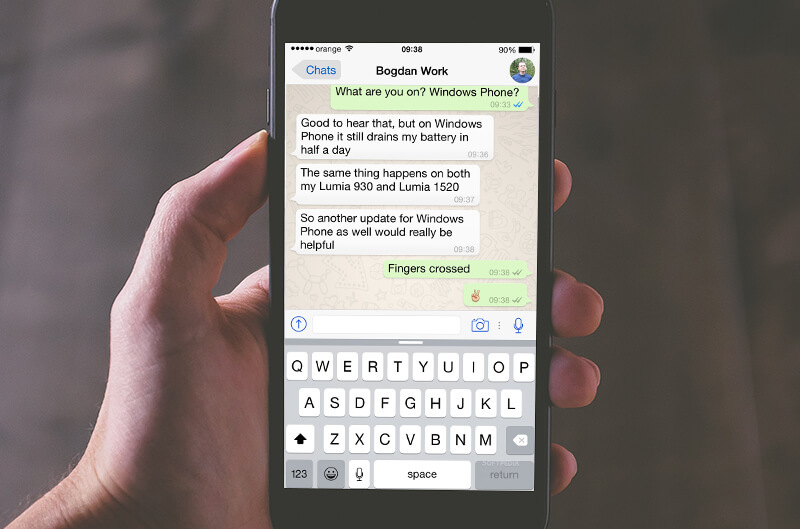 so now that you know that chat-based apps are exceedingly popular, you must have settled your mind and looking forward to building a social messaging app like WhatsApp or WeChat. We will offer you a step by step guide on how to create an app same as WhatsApp or Telegram. It is necessary to consider a few vital aspects before you can begin with building a chat-based app like WhatsApp. You should always launch an MVP of the product so that you can check its feasibility and get the all-important user feedback regarding the app. Then you have to take into account the development team that would be working on building the app. You should hire experienced app developers, designers, testers, project managers and others because your app has to compete with most successful apps. Plan your budget in advance and then hire a proficient App Development Company to cater your services. Always keep in touch with the development team to monitor the progress of the project. Any user using the chat-based app such as WhatsApp has to enter the application by registering his account. As such, one of the easiest methods of signing-in into one’s account is via entering the existing mobile number. Once you provide your mobile number, you get an automatic security code by SMS. This verification code is sent for the security purpose. Once this verification process is completed, it’s time to add the contacts from your phone book list. The longer the contact list of the user is, there are more chances that he would be using your app. However, the best part of this registration process in apps like WhatsApp is that the risk of password getting stolen or misused unlike Facebook as it is directly connected with user’s mobile number, which cannot be hacked. You can also offer the benefit of profile customization where the user can customize his profile so thereby changing their nicknames, the background colors, and patterns etc. Regarding the time, it would nearly take about 40 hours for developing the front as well as the backend of the app, irrespective of the platform chosen. Your next job in hand is to create a viable messaging exchange platform using which the users can start conversing with one another conveniently. Upon taping a button, the user comes across the phone book address and he selects the person with whom he wants to chat. You also have to necessarily provide a group chatting option, which has a particular name or theme of the group. The group has a specific number of people with one or many admins controlling the group activity. This is what we have seen in the WhatsApp. In addition, you can also add another new feature called Broadcast Group where you can send a single message to many individuals simultaneously instantly. The XMPP technology allows users to share the message and facilitates with group conversation same as the HTTP. It contains a socket, which remains open until the user is logged-in but closes after the message receive or sending. Another notable point to remember is that WhatsApp does not store message in its server. It only stays active until the server delivers it to the acknowledgment of the receiver. It then gets eliminated from the temporary storage. However, in case you want to store message on the server, you have to make arrangements for its security. The choice is yours. The customization of the stickers is what can hike the user engagement towards the app. Allow your users to create their own stickers, which indeed has become an important part of the interaction today. Time required to build this feature is 200 hours including 100 hours for front-end and 100 hours for the backend. We are evidently aware that Push Notifications play a significant role in sending important information to your customers. When you are creating an app like WhatsApp, you have to inform your users about two key things; first, when a new message is delivered and secondly when he is added to a specific group. 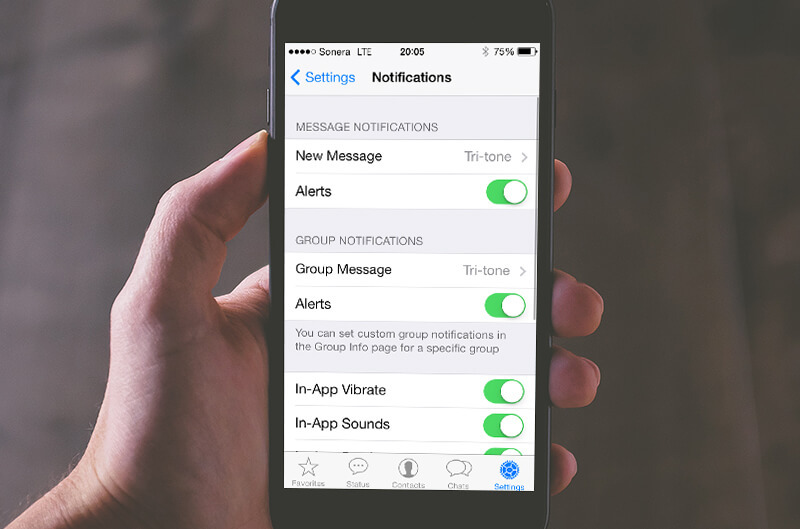 The pop-ups and push notifications carry out this task of sending or receiving messages if the screen is locked. The developers can look to implement the Google Cloud Messaging for Android and Apple Push Notifications for integrating this feature. The total time devoted to developing notification is 16 hours including both the client and server-side. In addition, to sending the text-based messages, the social messaging apps also lets their users send videos, audio clips, pictures, GIF, memes and short voice messages. You also have to offer the same feature in your app for which you would be requiring the services of multimedia file transferring. In this procedure, the multimedia file is first uploaded and then sent to the HTTP server. In the next process, it delivers a link with Base64 encoded thumbnail. If you are interested in providing the contact sharing option, then you have to devote some extra time; somewhat close to 16 hours. There is the option of synchronizing with cloud services too. It takes around 40 hours to build this feature. Well, the geo-location feature is yet another additional advantage that you can look to implement in your app, which would prove more than handy to the users. 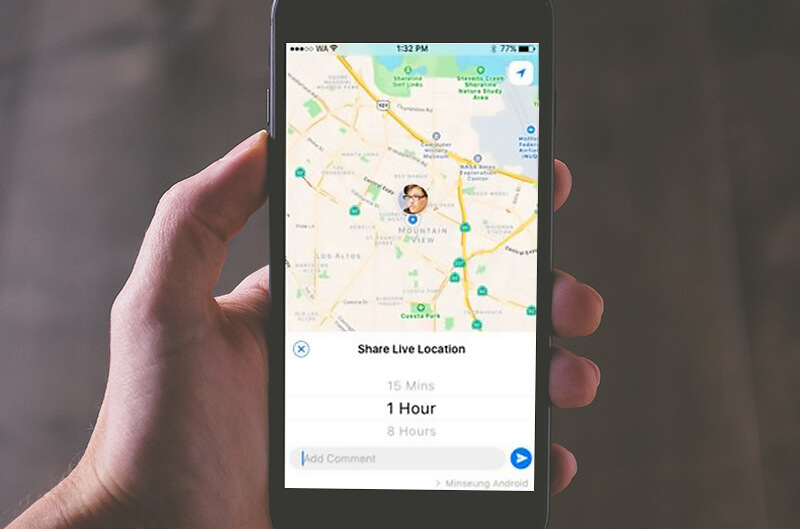 It would allow them to share their exact location with their friends. If you are integrating this feature for the Android devices, you have to use Google Play location services API, while the Apple has Core Location framework allowing developers to add the current location to the code. For the Map implementation, Android uses the Google Map Android API service and for the iOS it’s the Map Kit Framework. You need to invest at least 12 hours to build this feature. Most of the mobile applications have a menu included known as the Settings. Don’t replicate simply from WhatsApp or Telegram, but show your originality while adjusting the app’s settings. The first is Profile Settings where the user can conveniently change his profile picture; select his about status, nickname, etc. The Account Settings basically deals with privacy, where the user can set his personal profile according to his wish. This shows whether you want to show your profile picture and status to everyone, live location, and the number of blocked contacts and read receipts. Then you have security where your messages are secured with the end to end encryption, two-step verification, the option of changing your app-based registered number and the option of deleting the account. In addition, the setting has a few other features such as adjusting your notifications, data storage, and usage and inviting a friend. You have to offer the Help facility so that the user can get more information about the app and contact the app developer if there is an issue using email or any other method. The time needed to incorporate this feature is about 40 to 50 hours. This is the specific zone where you can showcase your artistry in designing a beautiful and appealing app design with attractive interface. Play with colors, font styles, background images and content that gives an edge to your app. An elegant and chic looking app will increase the weight of your app and increase the traffic. As far as time is concerned, you need to devote 60-70 hours for creating the UI/UX designs. Though it is difficult to figure out the exact cost of developing a chat-based app, but a rough estimate would be somewhere around $20K to $30K on an approx. The messaging apps are the main drivers today, influencing the mobile app development industry and market to a great extent. However, mere creating an application similar to WhatsApp or WeChat will not offer you the massive boost but you also have to promote your app in order to reach out the global audiences. And above all be prepared to face the staunch competition. But coming with exclusive ideas and a robust business strategy will surely help you out to wither the storm. If you are in a hunt for an experienced campaigner who could help you out comprehensively throughout the social messaging app development, then you are free to contact us.